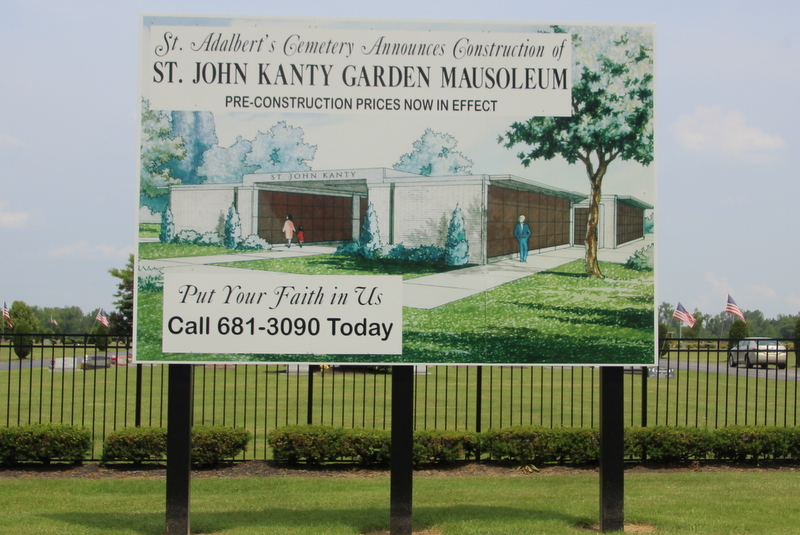 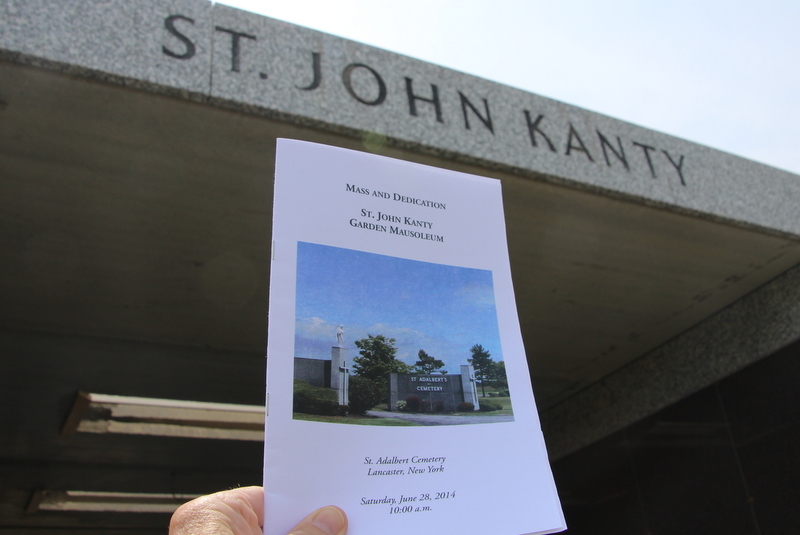 Today Auxiliary Bishop Edward Grosz offered Mass at St Adalbert Cemetery, Lancaster, NY, to dedicate the new St. John Kanty Garden Mausoleum. 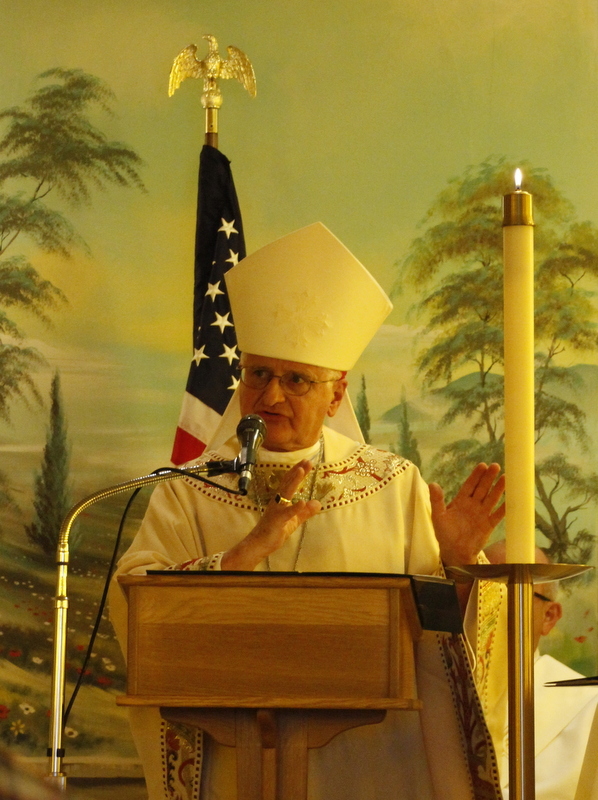 Bishop Grosz’ Mass was a moving testimony to Mary; the Feast Day of the Immaculate Heart of Mary is June 28. 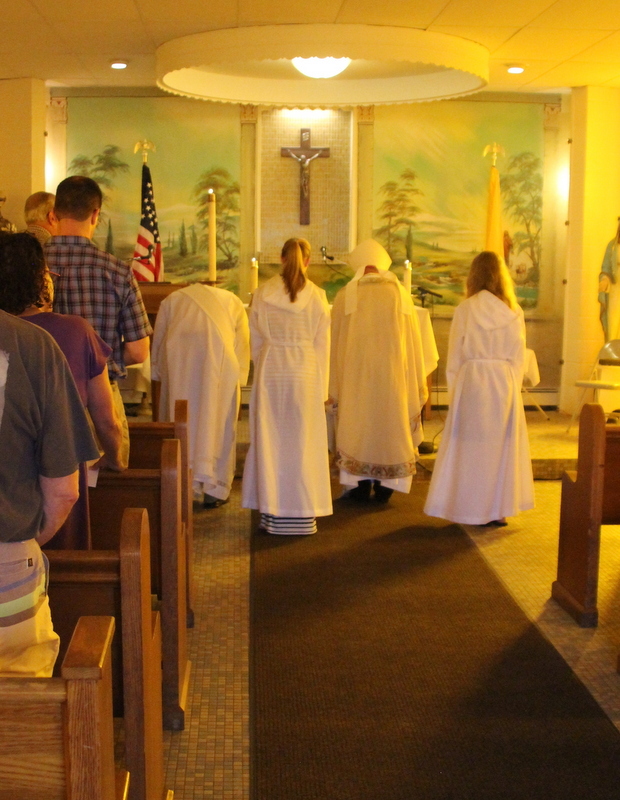 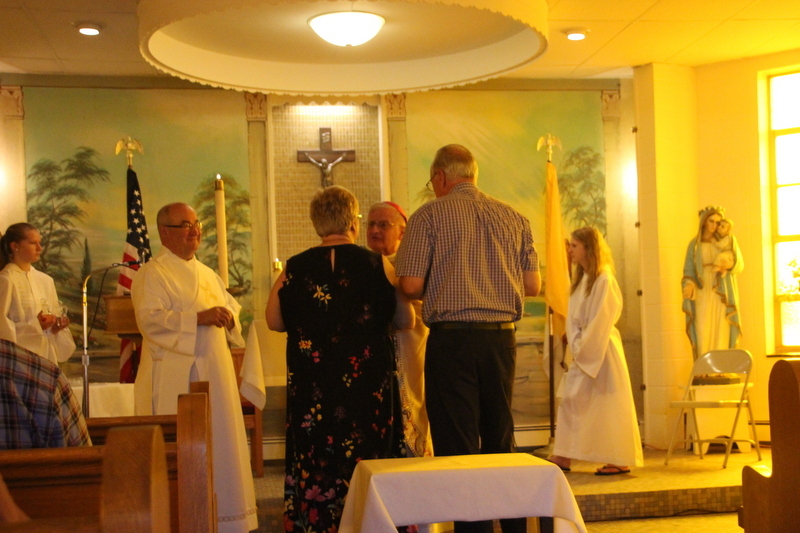 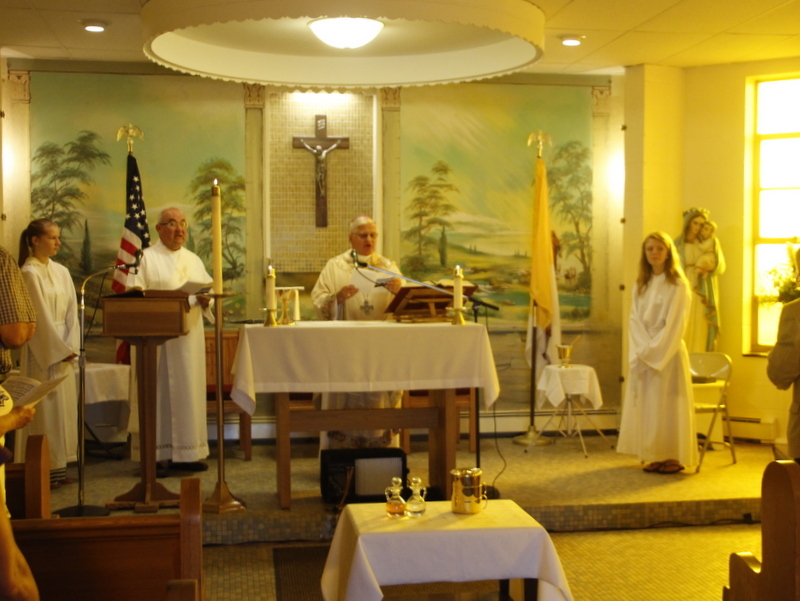 Deacon Dave Velasquez and altar servers Lizzy Czajka and Melissa Pasternak served on the altar with Bishop Grosz. 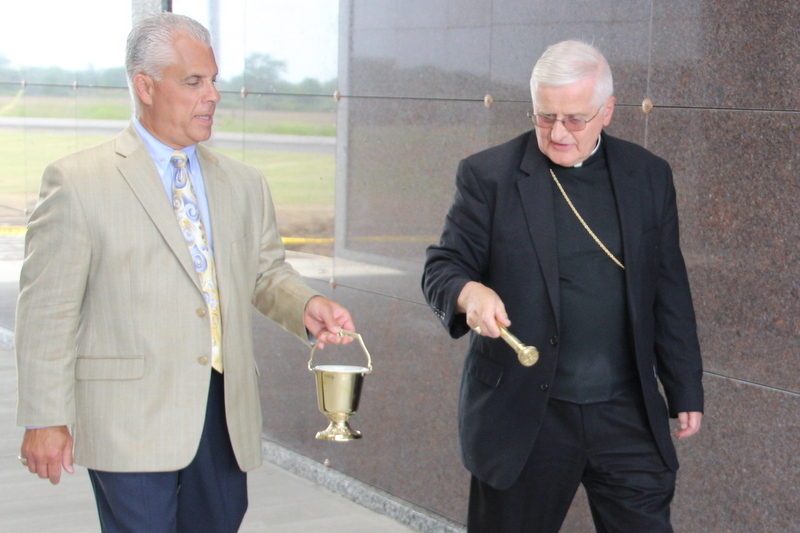 Following a brief reception the Mausoleum was blessed, with Carmen Colao, Director of Catholic Cemeteries, assisting the Bishop by carrying the holy water container (aspersorium). 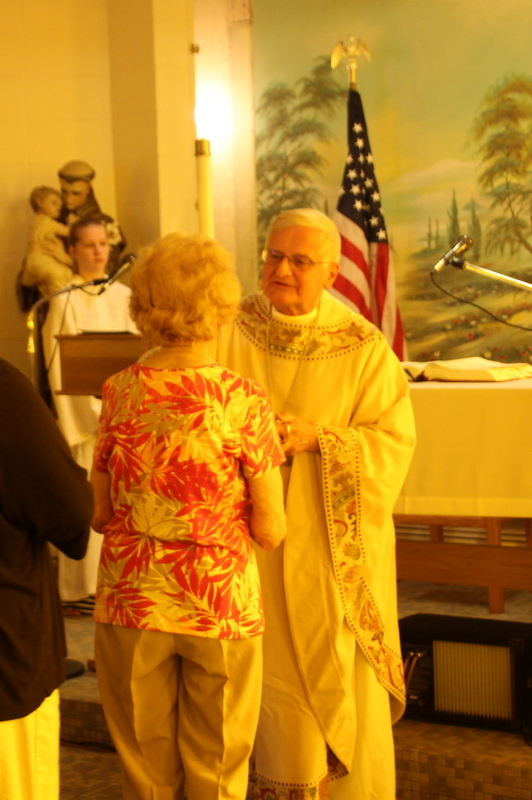 It was very nice to see a graduate of our school, Mrs. Alicia Spychaj, Class of ’35, attending. 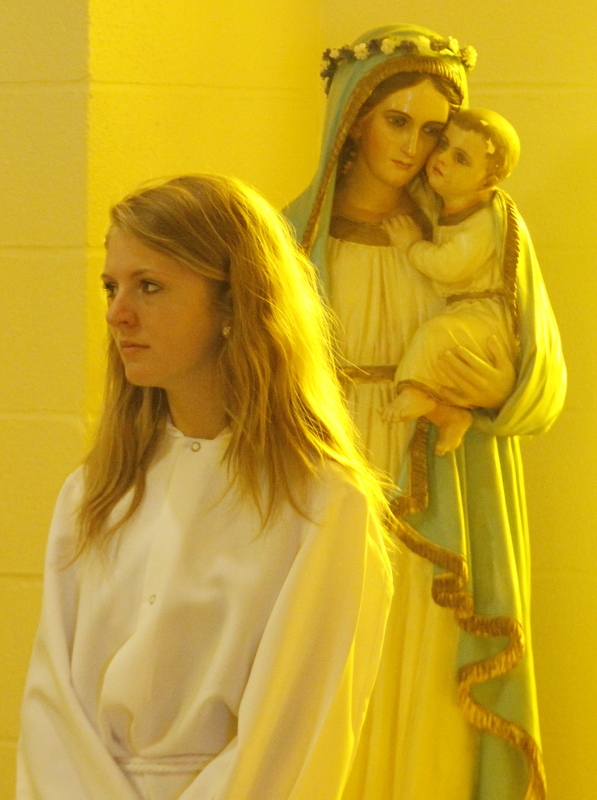 Mrs. Spychaj, SJK alum, class of ’35!